Enter the Grishaverse with Book Two of the Shadow and Bone Trilogy by the #1 New York Times**–**bestselling author of Six of Crows and Crooked Kingdom. Soldier. Summoner. Saint. Alina Starkov’s power has grown, but not without a price. She is the Sun Summoner—hunted across the True Sea, haunted by the lives she took on the Shadow Fold. But she and Mal can’t outrun their enemies for long. But as the truth of Alina's destiny unfolds, she slips deeper into the Darkling’s deadly game of forbidden magic, and further away from her humanity. To save her country, Alina will have to choose between her power and the love she thought would always be her shelter. No victory can come without sacrifice—and only she can face the oncoming storm. Really great. hardly wait for more! Great! Keeps you on your toes! It is exceedingly hard to speak to the brilliance that is this series. That is Leigh Bardugo and her magic-touched, clever mind. This is my second time reading this series and I am just as in awe of it as I was the first time around. I finished it for the first time three years ago, and it has ever been on my mind since then. There are ample reasons why. The first reason is the Russian-inspired fantasy world that Bardugo has created. It is unlike anything that I have read before and I have so much appreciation for its uniqueness. You will truly never read anything like it in young adult literature. Bardugo's Grishaverse is set apart from other fantasy worlds with its magic system, structure, religious aspects, and detailed account of nations. It is a very rich world with endless possibility. The next reason is that this story is truly exceptional. It without a doubt stands apart from other books in this genre with it's remarkable, original plot. If you are a reader of young adult fantasy, then you will be able to feel the otherness, the wonder, and the genuineness that this series is comprised of. And after you finish this series, you will not be able to think of young adult books in the same way. The plotting in this second book of the series is smart and altogether ingenious. The flow of events from the first book is flawlessly executed. There is a definite build up of the story as the book progresses. Bardugo is a master at writing plot points that are unexpected and unique. You will be surprised and you won't be able to stop reading until you know what is happening. The third reason is the exciting cast of characters at the helm of this story. I love the introduction of new characters in this second-in-series. I loved getting to know characters from the first book even better. Getting a closer glimpse into the minds of characters is always a delight. There is always some mystery where characters are considered, but Bardugo has a way of showing her characters completely with a finesse that is unparalleled. She gives you what you need and expands on her characters at the appropriate times to bring the whole picture together in the readers' minds. 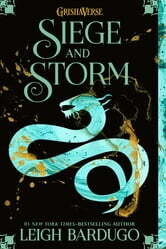 In this book, in particular, I loved the character development for Alina and Mal. They are both fighting something within themselves and trying to hold on to each other in the process. It is both heartbreaking and encouraging at the same time. Alina's strength and resolve are shown so beautifully in this book. Mal is fighting going down a downward spiral as he feels lost and that he is losing Alina. He finds self-destructive ways to deal with his issues. Nikolai is a character that I have loved from the start. He is always positive and has used his time away from Ravka to learn about the world. It has made him the perfect person for defending his country while his father and brother are nothing but louts. The romance is another aspect that makes this series so entertaining. The romance is hard to describe if I'm to be honest. It is always like a love triangle, but it isn't really. Alina's heart has always belonged to Mal, and she even tells him so at the end of the book. That said, she can't deny her pull to the Darkling because they really are different from everyone else and like calls to like. The Darkling wants Alina since she is the only one that is like him in all of the world. His desire for her is almost creepy, but it works. Under the Darkling's scary, tough exterior it isn't hard to see that he is very alone and his feelings for Alina are genuine in a sense because he feels that she is the only one that could understand him. As misplaced as his feelings may be though since the Darkling craves power and Alina does not. Alina and Mal are drifting apart throughout this book because of all of the demands placed upon Alina as the new head of the Second Palace. Mal sticks out since he is neither a Grisha, soldier, nor is he a prince or any of the rich people that Alina deals with at the Grand Palace. Their distance creates a rift between them, but Alina wants to salvage it at all costs. Then there is Nikolai. He clearly respects Alina and he clearly has some feelings for her as well. Alina and Nikolai get along well and are becoming friends. He even confesses to her that he wants to kiss her, but tells her that he won't until she is thinking of him and not trying to forget Mal. It was a sad moment, but very true at the time. So, yeah. Lots of things happening on the romance front. And the amazing thing about the romance in this book is that no matter which person Alina chooses, it would work. All of her love interests are believable and have merit. In conclusion, if you want to read a book with a fantasy world unlike any that you have ever encountered before then pick up this series. The vividly detailed world with original elements, characters that will get under your skin in all the best ways, and the compelling and original plot will blow you away! Fun series catches you and holds you. I was skeptical when I first started reading Shadow and Bone, the first in this series but very glad that I stuck with it. It quickly had me turning pages and looking for more. 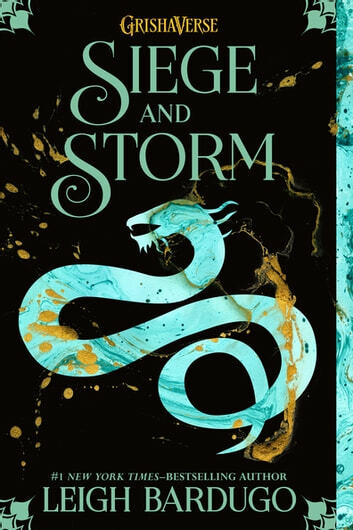 Siege and Storm did not disappoint, the journey continues. Just started Ruin and Rising! I couldn't put it down. I can't wait to see how this will end between the Darkling & the Sun Summoner. Love it!